Who can resist the taste of grilled foods? Smoky aromas make your mouth water, and robust flavors satisfy the most ravenous hunger. When I was a child, I was the marinade specialist in the family. Every weekend, my father would busy himself in the garden, cooking lobsters in giant pots on an open wood fire. I, on the other hand, would be in the kitchen whipping up marinades and preparing brochettes for the family feast. Today I still love creating marinades. 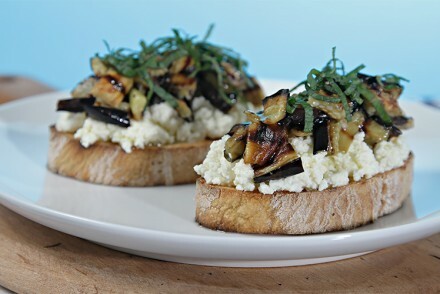 They can transform even the blandest of ingredients into mouthfuls loaded with powerful flavors. Smoky… Here’s another powerful flavor that’s inherent to grilled foods – and addictive, too. That’s how pimentón found its way into today’s marinade. A smoked Spanish paprika that comes in three varieties – dulce (sweet), agridulce (bittersweet and a little spicy) and picante (spicy) – pimentón is the spice most associated with Spanish national dishes like chorizo and paella. 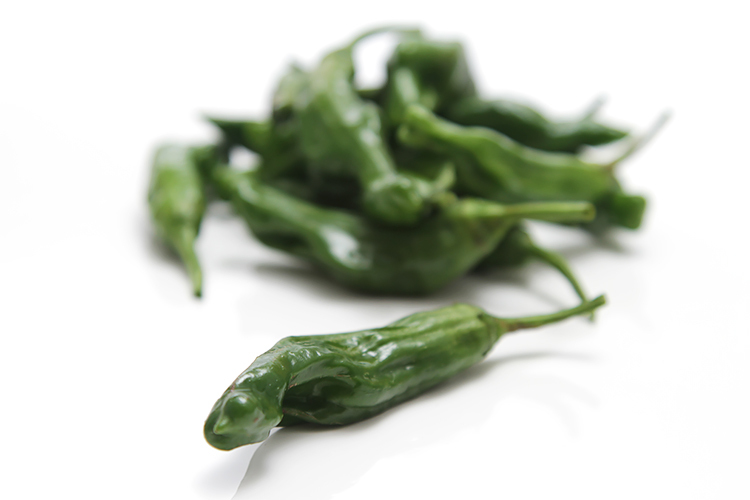 But the intoxicating and delicious smokiness of the pimentón is a perfect complement to grilled foods – a double dose of smokiness, if you will! Undoubtedly, my most obsessive quest with food is flavor. Whenever I create a recipe I’m asking myself: How can I make this as flavorful as possible? And these brochettes are as flavorful as I could possibly make them. 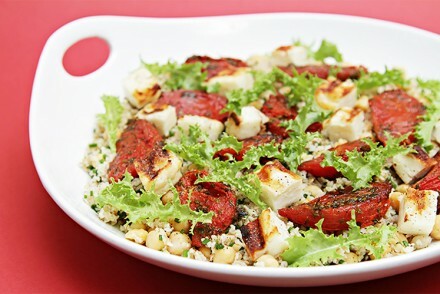 I love to serve them with orzo with mint-walnut pesto and grilled corn and a leafy green salad. Now that’s a meal that makes me wish summer would never end. A Zinfandel from Paso Robles, California pairs magnificently with the grilled flavors and the smokiness of the brochettes, but a Cabernet Sauvignon would be a good stand-in! Step 1: For the marinade – Place all ingredients in a small bowl and whisk until well blended. Set aside. Step 2: For the brochettes – Boil the baby potatoes until tender but not falling apart. Drain well and set aside to cool. Peel the red onion and cut in quarters. Cut each quarter in half, crosswise, and separate each onion layer. Slice the zucchinis crosswise in twelve 1″ slices. Stem the shishito peppers. Cut the red pepper in quarters. Seed it and cut each quarter in 3 pieces crosswise: you should have twelve 1 1/2″ pieces. Trim the mushroom stems and brush caps clean with a dry paper towel. Place all the vegetables in a large bowl and drizzle with 2/3rd of the marinade (refrigerate the balance of the marinade). Mix well, being careful not to break the vegetables, and let sit at room temperature for 30 minutes to 1 hour, stirring a couple of times to keep the vegetables well coated with the marinade. Step 3: To make the brochettes – Thread the vegetables on a skewer in this order: a couple of slices of onion, 1 mushroom, 1 shishito pepper, 1 potato, 1 zucchini slice, 1 red pepper slice. Repeat 2 times for each brochette. You will end up with four brochettes. Step 4: Preheat gas grill to medium-high heat or fire up a charcoal grill. 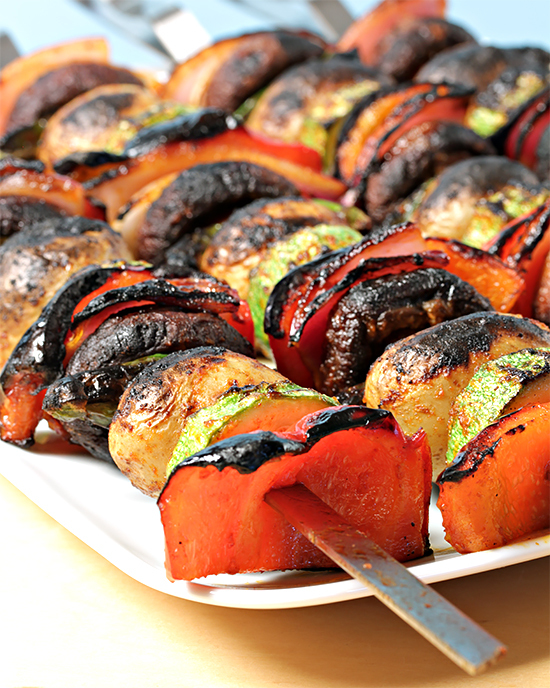 Grill the brochettes on each side until the vegetables are well charred. Serve with the balance of the marinade and sprinkle with salt to taste. 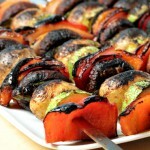 Cook’s note: I recommend using flat-blade skewers for these brochettes. As the vegetables grill, they lose their moisture and shrink. These skewers will help keep the vegetable stable as they cook. 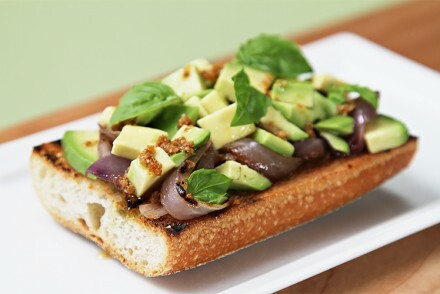 I can’t resist grilled veggies – it’s my favorite preparation. Love the unique Pimentón marinade and will definitely try it! Love the recipes. I am a big fan of vegetables on the grill. mmmm. my mother would love this. i think i’ll have to email her the link! I’m on the lookout for the Pimentón. 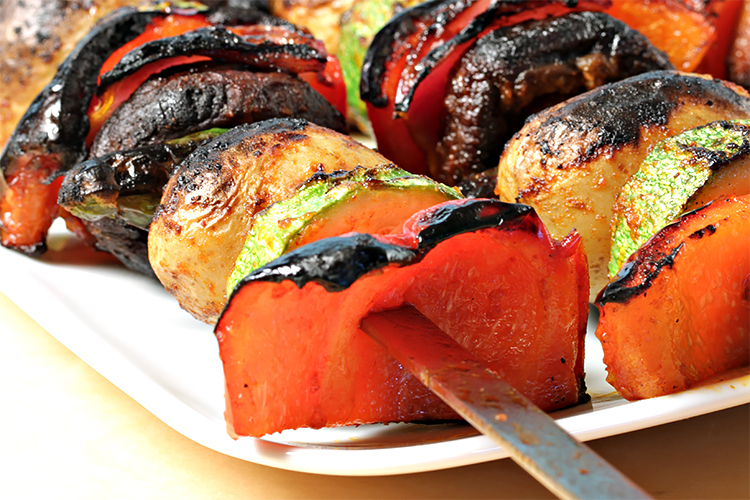 Grilled foods, especially vegetables…you’re right, who can resist? Beautifully done and perfect as a side or main. Thank you so much Cristina! This is a perfect way to use the fresh summer harvest. Delicious! U are so right! A meal like this is summer that shall never end! Delicious!